Two weeks ago, I was very curious about the Troop Greeter program and others similar to it. I was wondering how many troops have they greeted currently? What kinds of impacts are other groups making? After a lot of research, the answers have been found. 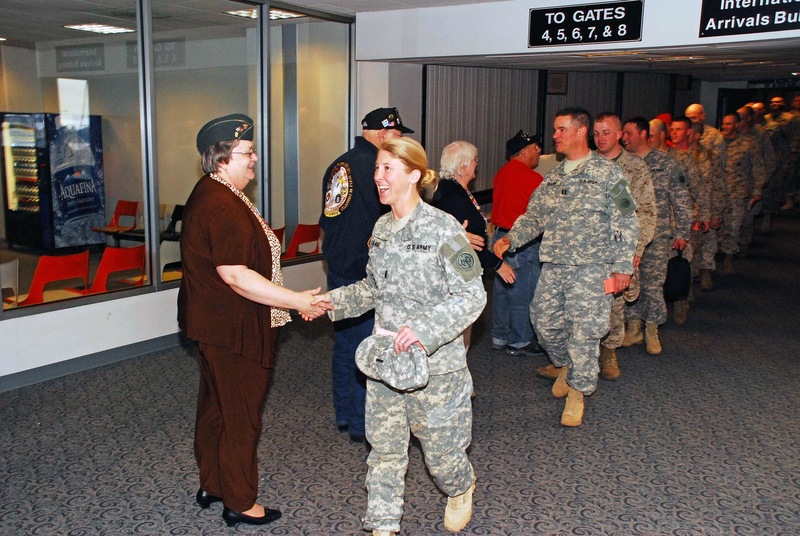 The Bangor Troop Greeters shown in the movie, The Way We Get By,have greeted over 5500 flights with more than 1,140,000 service members and 281 military dogs. Greeting all of these people, and animals too, is an amazing feat in itself and it is wonderful to know that people are willing to give up some of their time to do that. There are many other groups around the country that have similar purposes.Other groups are not as publicized, so specific numbers and information is difficult to find. Some groups simply greet the incoming and departing troops, but some actually donate American flags, cell phones, and care packages as well. All in all, these different organizations, no matter how small, make large impacts in the lives of the troops. The past two weeks in Ethic's class, we have been covering persuasive media and advertising, along with a bit on how to make a documentary and TEDx Conferences. We watched the documentary The Persuaders, which discussed the ever-changing advertising market. All in all, these past two weeks were very interesting and highly enlightening. I found The Persuaders to be very interesting. 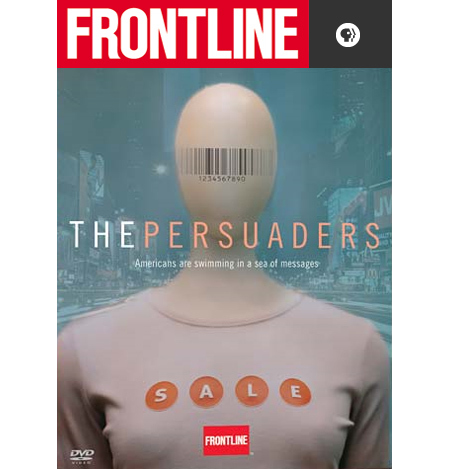 Before viewing the movie, I had already known that advertisers spent a great deal of time and money coming up with their television and billboard ads. Despite this, I did not realize actually how much thought and research was put into simple 30 second commercials. I still can't believe that certain companies even use support groups and individual questioning to find out crazy ideas. I thought the most wacky of them all was when the researcher asked the man if eating white bread made him feel lonely! Exactly what kind of question is that? I don't think that bread companies target lonely white bread consumers! I feel that companies could save themselves a lot of time and unnecessary struggles by fine tuning their advertisements. Also I feel that they would earn more customers if they spent the money used on advertisements to lower the prices of the goods that they are trying to sell. In class we talked a lot about the movie, but we never really answered the question of whether or not we actually pay attention to the swarm of advertisements. When watching television, I actually watch the commercials, unlike some people. I do though, however, only watch the commercials for entertainment only. Normally I do not choose to buy one product or the other just because of their advertisement. I buy things because of quality and reliability, not because of how flashy and unique their commercials are. This past spring break, my family and I traveled to New York City and stayed near Time's Square, which is known for it's over sized billboards and advertisements. Everywhere you look there is another flashing ad trying to make an impact on you. Time's Square, even though companies try to use it as a way to advertise, has actually become a tourist attraction because of the overuse of advertising. No one pays attention to what product is actually trying to be sold; they are looking to see which one would make the best Christmas card background or vacation photo. I sort of understand the advertiser's pain when it comes to advertising. Yes, having your product shown in every other commercial may work, but honestly I feel that quality and low prices are the way to go! After all of this talk about advertising, I am really curious as to how much time and money companies actually spend on making advertisements? What is the average price of a commercial or billboard?